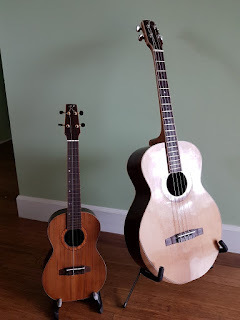 Finished the Cello Guitar and the Tenor Ukulele. I'm happy with the sound of both, especially the Cello Guitar. I think I will be making more of them.